I've seen some weird bonuses for pre-ordering and buying games during their opening run. I've also seen great promotions for these sales. The most recent awesome limited edition promotion was for The Legend of Zelda: Skyward Sword that included the 25th Anniversary CD for the Zelda franchise. One of the bonuses for THQ's Metro: Last Light? Ranger Mode. This difficulty will come as part of the initial shipment of Metro: Last Light. It, like the first versions of the game sold at retail, will be limited. THQ suggests that the only way to definitely score a Limited Edition would be to pre-order the game. The news of this limited edition mode comes by way of THQ in the form of a press release (you can read it in full by clicking the button at the base of this post). What's odd here comes two fold: first, I can't remember ever seeing a limited run of a game's difficulty. Typically, difficulty modes are in the game from the start or added in after fans and critics ask for them. THQ is using Ranger Mode as a limited run selling point. "'Ranger Mode' provides the definitive Metro experience…It's deservedly regarded as one of the most immersive, atmospheric challenges in gaming and we think fans will be very happy to see its return in the Metro: Last Light Limited Edition." The good news? For PlayStation 3 owners, pre-ordering the Limited Edition of Metro: Last Light on the PlayStation Network by December 18th, 2012 will get you a free copy of Homefront at launch. So, bonus. 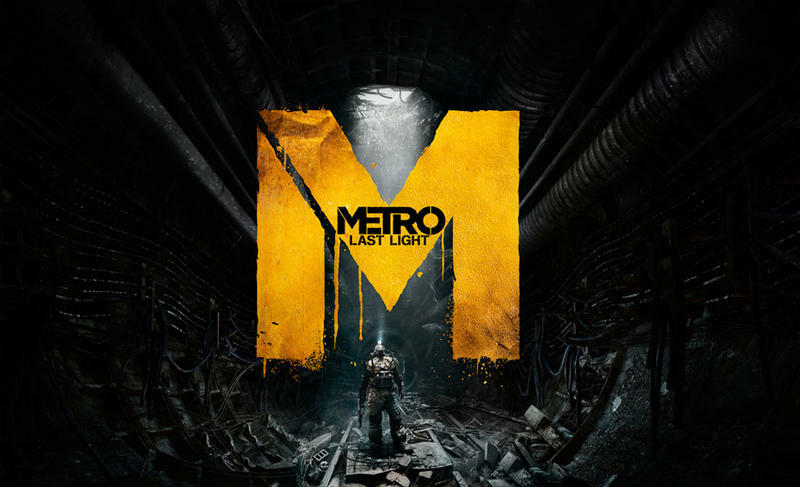 Metro: Last Light will hit retail in March of 2013. The ultimate Metro experience is back, alongside a range of exclusive pre-order bonusesAGOURA HILLS, Calif.–(BUSINESS WIRE)–Dec. 14, 2012– THQ confirmed that Metro: Last Light – the hugely anticipated sequel to 2010's cult classic Metro 2033 – is scheduled for release in March 2013 on Microsoft Xbox 360, PlayStation®3 computer entertainment system and Windows PC. Initial copies of THQ Inc.'s (NASDAQ: THQI) Metro: Last Light will be sold as a Limited Edition packed with exclusive content. To guarantee the free upgrade to the Limited Edition, Metro: Last Light is now available to pre-order from the THQ Store and select retailers, including Amazon.com, Best Buy, EB Games, GameStop and Walmart.com for an SRP of $59.99 on console and PC.The Metro: Last Light Limited Edition will include a standard retail copy of the game with 'Ranger Mode,' the fan-favorite game type from Metro 2033 that represents the ultimate, immersive Metro experience. Additionally, the Limited Edition includes the Ranger load-out, containing bonus military grade bullets to spend on weapon upgrades and equipment, and the deadly AKS-74U modified Russian rifle. "'Ranger Mode' provides the definitive Metro experience," said Huw Beynon, creative strategist, THQ. "It's deservedly regarded as one of the most immersive, atmospheric challenges in gaming and we think fans will be very happy to see its return in the Metro: Last Light Limited Edition. "Beginning on Dec. 18, fans in North America who pre-order the full LE digital version of Metro: Last Light on PlayStation®Network will receive a free digital copy of the popular shooter Homefront at launch. For instant gratification, purchasers will acquire a free Metro: Last Light PlayStation Network theme at the time of pre-order.For more information and a list of local retailers, please visit http://www.enterthemetro.com, follow Twitter.com/MetroVideoGame or become a fan at Facebook.com/MetroVideoGame. Beneath the ruins of post-apocalyptic Moscow, in the tunnels of the Metro, the remnants of mankind are besieged by deadly threats from outside – and within. Mutants stalk the catacombs beneath the desolate surface, and hunt amidst the poisoned skies above. THQ Inc. (NASDAQ: THQI) is a leading worldwide developer and publisher of interactive entertainment software. The company develops its products for all popular game systems, personal computers, and wireless devices and the Internet. Headquartered in Los Angeles County, Calif., THQ sells product through its network of offices located throughout North America and Europe. More information about THQ and its products may be found at www.thq.com. THQ and its logo are trademarks and/or registered trademarks of THQ Inc. The statements contained in this press release that are not historical facts may be "forward-looking statements" within the meaning of the Private Securities Litigation Reform Act of 1995. These forward-looking statements are based on current expectations, estimates and projections about the business of THQ Inc. and its subsidiaries (collectively referred to as "THQ"), including, but not limited to, expectations and projections related to the Metro: Last Light video game and are based upon management's current beliefs and certain assumptions made by management. Such forward-looking statements are subject to risks and uncertainties that could cause actual results to differ materially from those expressed or implied by such forward-looking statements, including, but not limited to, business, competitive, economic, legal, political and technological factors affecting our industry, operations, markets, products or pricing. Readers should carefully review the risk factors and the information that could materially affect THQ's financial results, described in other documents that THQ files from time to time with the Securities and Exchange Commission, including its Annual Report on Form 10-K for the fiscal period ended March 31, 2012 and subsequent Quarterly Reports on Form 10-Q, and particularly the discussion of trends and risk factors set forth therein. Unless otherwise required by law, THQ disclaims any obligation to update its view on any such risks or uncertainties or to revise or publicly release the results of any revision to these forward-looking statements. Readers are cautioned not to place undue reliance on these forward-looking statements, which speak only as of the date of this press release.